I am a Twitter addict (don’t worry, I’m working on it, I’ll get clean – I promise) and there are few things I enjoy more (how sad!) than scrolling through my TL, viewing the opinions of others. With 2016 packing up its bags, the most reoccurring opinion, shared by thousands around the world, has been the acceptance that 2016 has been an L – a loss, a low; a year that needs to be buried and forgotten as soon as possible. Did we all really have the worst year; have we all been taking Ls? I honestly couldn’t relate. The year, up until that point, had been great. There were the things I had longed, and sought, to accomplish; I had been successful. As the year drew to a close, if anything, I had begun to feel restless because I needed new goals. And then November came, right at the end – so close to the finish line. My best friend told me he had a confession to make and I remember looking at my phone, confused. What could he possibly have to confess? I felt as though I knew him – I was wrong. My world, as a I knew it, crumbled slowly. Suddenly 2016 wasn’t the best year, a good year or a year worth remembering; it was the year that I realised that the reality I had been existing in had been false. I had taken the ultimate L.
Most importantly, I realised, once again, that those closest to us have the power to hurt us the most; people lie and lie again – the need to be transparent does not always exist in others, I was broken. I desperately, and quickly, climbed into myself, looking for a safe haven. At this point, I began to write. In hindsight, my writing saved me. My writing continues to save me. I’ve written more freely and consistently than ever before. Every day, I write something new. I am liberating myself, becoming my own hero, picking up the pieces and rebuilding. I clung to the Most High on the darkest of days, the days where getting out of bed seemed too hard, where I would cry on my way to work, unsure as to how I would get through the day. No one else could hold me together because I couldn’t find the words to explain what had happened. I wrote this to myself on a dark day and I still remember how it healed me. These were the words I needed to hear but no one else could say. I thought I’d share them with you. This year ended pretty horrifically for you; your best friend betrayed you and you feel lost as a consequence. Even though you are in immense pain, remember what you have gained through this loss. You will regain your sense of worth, self and purpose. You will see that you are worthy of love. That you do not have to work to make someone care for you and those who are meant to see you won’t have to be forced to look. You will laugh again, robustly, freely, fully, without restraint and ultimately, with joy. You will feel butterflies in your stomach and anticipate an embrace. You will entwine your fingers with one who loves you relentlessly and persistently – because that is how you love. There will be no convincing. You will not feel insecure because you will be affirmed daily, validated by the safety of presence. You will not cry in the way you have, as your tears have fallen harder than you have. The sun will shine again. You cannot see it now as most days you’d rather die than breathe, but this won’t be the thing that destroys you. It has tried. It has almost been successful. But you have always been stronger than you’ve felt and it is only through this that you will see that there is more to you; that although you feel broken, that is not how you will remain. This is only part of your story – there are chapters that you are yet to wander through, work through and discover. Don’t stop here because although you feel like giving up, there are people, some you are even yet to meet, that need you to live. So live. I welcome 2017, with alert eyes. I have written down what I demand of myself- 5 words that I will insist upon and I will go out of my way to behold. Despite these plans, I know that ultimately we are in the hands of the Creator. As we look to Him, as the one that has already saved the day, I know that we will be okay. Previous PostNewly Married And ExpectingNext PostNew Year, New Me? Hope you and your friend can make it work – next year. I know the feeling. But God has got your back. He always did and always will. Maybe this will help. I remember it was months after my best friend hurt me…these were the only words that came out of my mind in the end…though things will never be the same…I am at peace. This post couldn’t have related to me any better. 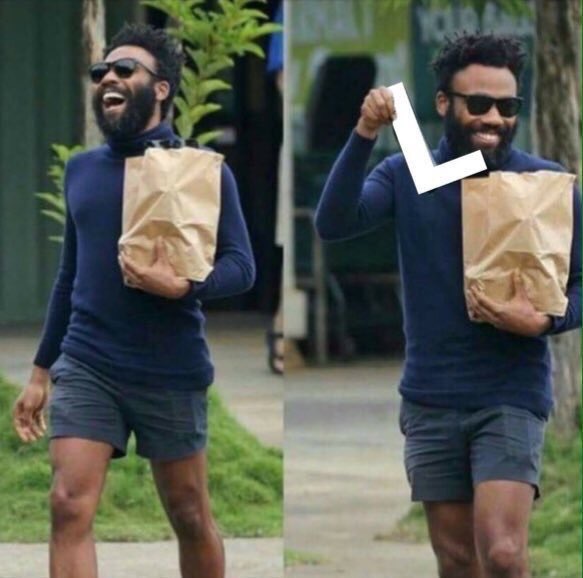 I didn’t understand what the hell everyone was talking about in terms of 2016 being an L, because January – November was lit. But then December came 😊 And everything just crumbled. Now I’m entering 2017 not on the best note, and stuff like that is really symbolic to me. I’m trying my best to cling on God and know that He will turn things around, but it’s really hard! But by His grace, everything will turn out according to His will.